Keeth Smart, Tim Morehouse, Jason Rogers, and James Williams. 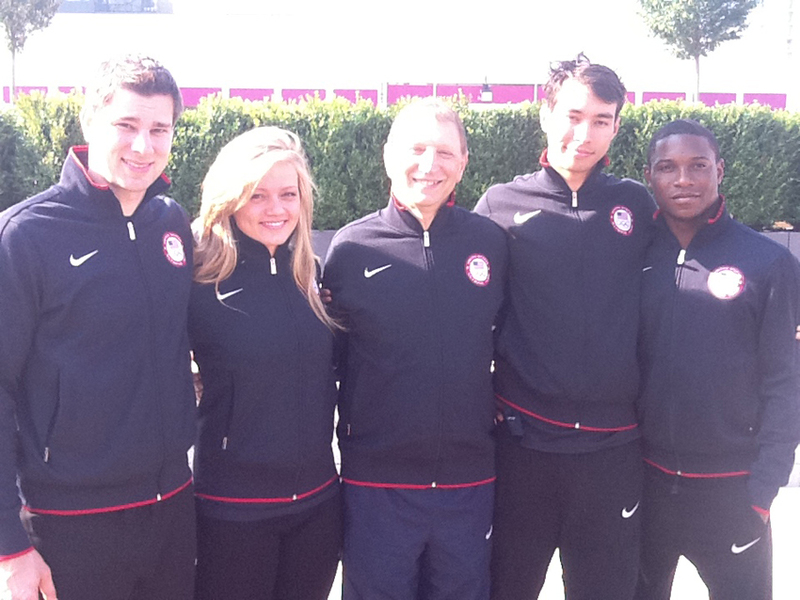 Four MFC students participated in 2012 London Olympics and three of them finished top 8 in the individual competitions. Tim Morehouse, Dagmara Wozniak, Yury Gelman, James Williams, Daryl Homer. Five-time Olympic – Sydney, Athens, Beijing, London and Rio- fencing coach for Men’s Sabre, Head fencing coach of St. John’s University, and founder of Manhattan Fencing Center, Yury Gelman has made an incredible impact in U.S. fencing history. 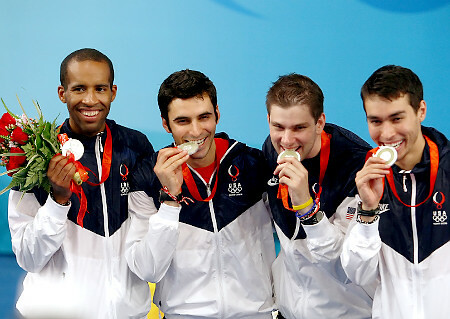 Three of his fencers participated in the 2016 RIO Olympics to represent the United States of America and came home with Silver medal and Bronze. 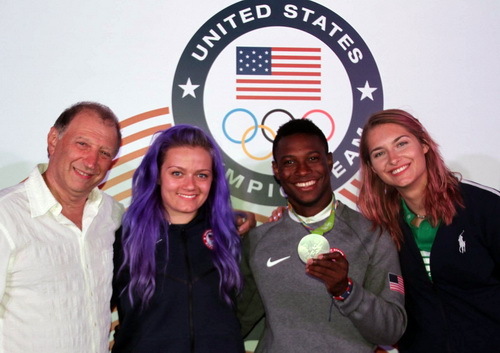 Daryl Homer won Silver Medal, Dagmara Wozniak and Monika Aksamit – Bronze Medals! 2016 RIO Olympians. Pictured from Left to Right: Yury Gelman, Dagmara Wozniak, Daryl Homer and Monika Aksamit.